Show CicLAvia some love and get a free pin! Join us in coveting these little blue guys! Best part? They’re FREE. If you’re a fan of CicLAvia, you probably already know that L.A.’s beloved celebration of all things alternate transportation returns April 6, with a route that will transform Iconic Wilshire Boulevard into a totally car-free–and completely bike/ped-friendly–environment. 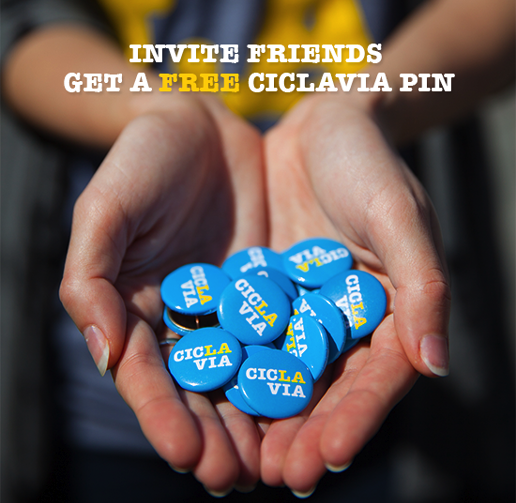 What you may not know is that CicLAvia is currently giving away FREE PINS to those who pledge their support online. More details about the April 6 route will be posted here, at The Source, next week. March 18 is Transit Driver Appreciation Day!